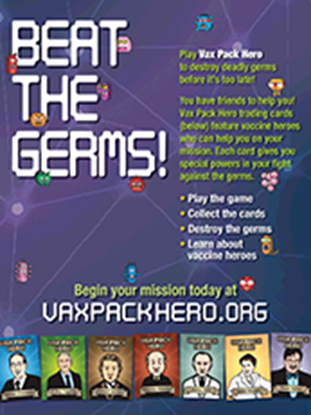 The Vaccine Education Center at Children’s Hospital of Philadelphia makes most educational materials available as free downloads. You can download files from this section of our website. However, we also make a few printed materials available free of charge in limited quantities. You'll find those in this section. * Shipping charges will apply for items shipped to other countries. 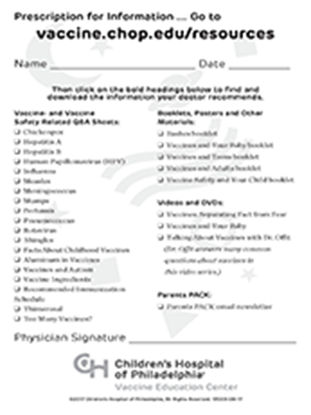 Prescription for Information pads provide an opportunity to send patients and their families home with an easy way to find our online information related to their questions about vaccines.